Don’t miss my exclusive 2 Part story on Biloxi’s Own, Barry Lyons. A gifted athlete deeply devoted to his faith, family and professional baseball. 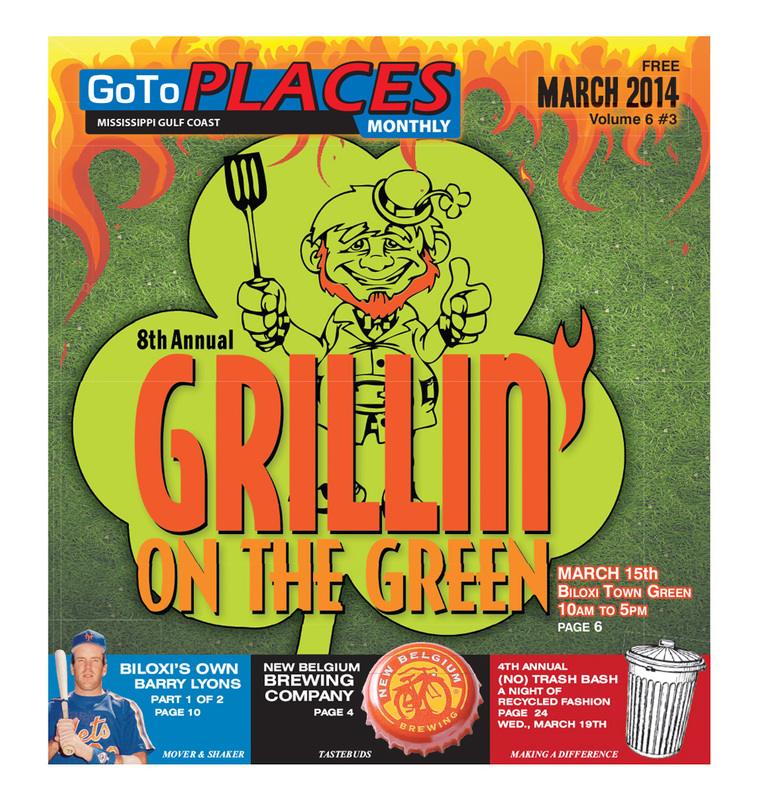 It’s time again for Grillin’ on the Green! We’ve got all the info you need right here! It’s my pleasure to introduce you all to New Belgium Brewing, a remarkable little company that has become one of the biggest Craft Beer breweries in all of America! FEB Distributing is supplying the Coast with all Fat Tire products. Learn all about it in our March issue. Again, we welcome your feedback and participation. Contact us anytime!